Can you believe it's less than three weeks until Christmas, I am so excited. I would probably say I am more excited than my three year old daughter, and she's pretty crazy about Christmas. As you can imagine we have been busy trying to prepare our selves for the upcoming festive season with writing lists, putting up the Christmas tree and not forgetting creating lots of amazing gift guides to help inspire you when it comes to buying for loved ones. So much so, we even created a gift guide that is perfect for adding a meaningful personal touch to Christmas morning. But one thing that I have never really thought about was personalised wrapping paper. Yes, wrapping paper ends up in the bin after a crazy unwrapping session at 5am in the morning , but I have to say it adds quite the meaningful touch. With this in mind I wanted to talk to you about a recent discovery. Pretty Gifted. 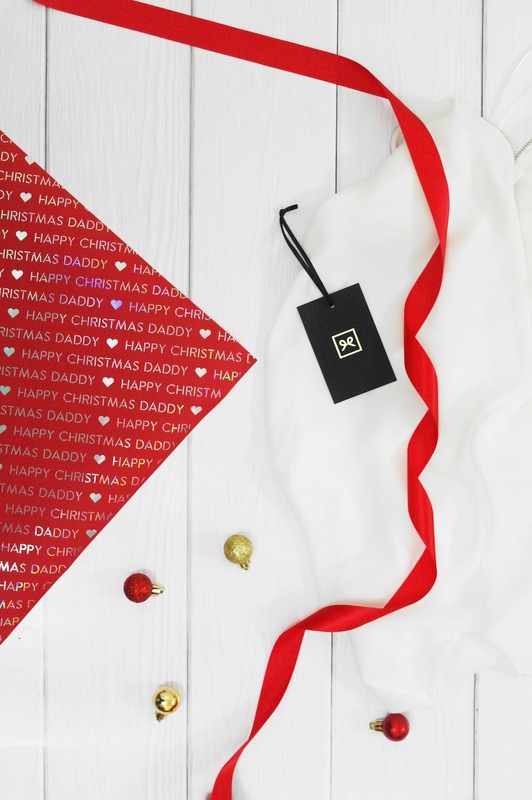 Basically Pretty Gifted is a whole website that specialises in personalised wrapping paper for any occasion, whether it's for a birthday, a baby shower, Christmas, a party and so many more occasions. 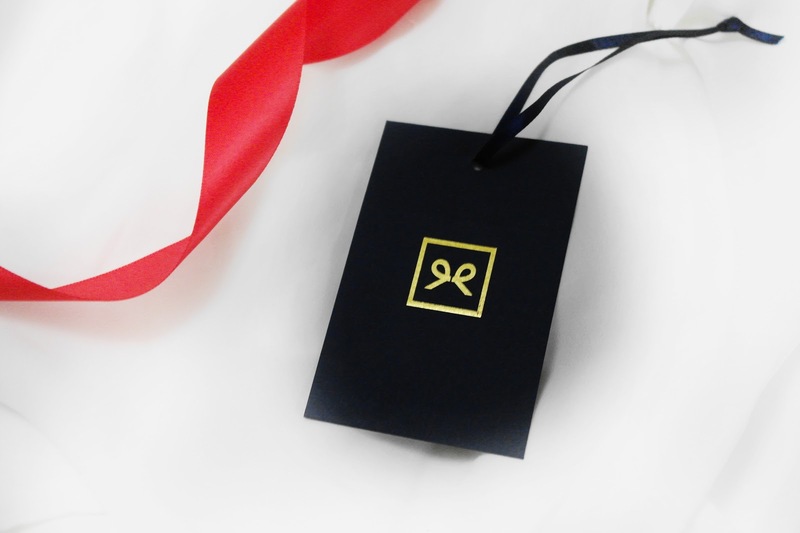 Pretty Gifted are an experienced paper & printing company who have created a bespoke gift wrap service using the finest papers & metallic foil finishes. What makes Pretty Gifted stand out from the rest is that you can cater your design to your liking from the colour, quality, fonts and even to the amount of sheets you have. Each sheet comes in a size of 70cm x 50cm and there are an array of different choices you can make. *Background – Gold, Peppermint, Silver, Pearlescent, Black & Red. *Font – Candy, Split, Monster, Arro & Lulu. *Foil – Silver, Gold, Copper, Rainbow & Aqua. *Message – Can have up to 60 characters. *Font size – Small (5mm tall), Medium (8mm tall) & Large (16mm tall). *Icon – Star, Arrow, Lightening, Cocktail, Ice Cream, Key, Heart, Tree, Balloon, Crown and Bell. At the bottom it also gives you a preview of what your design will look like. When it came to creating my own personalised paper there were so many different colours, designs and icons to choose from, but seeing as it was for Christmas red was the only way for us. We decided on a Lulu font, rainbow foil, a 'Happy Christmas Daddy', in medium sized font with a heart. The paper arrived in a long triangular packaging, which was perfect to keep the wrapping paper in tact. The paper quality is fantastic, something that I wasn't expecting at first, but as I unrolled the paper I could tell that it was very thick and would be great for my wrapping, if I am honest I'm not the best at wrapping. My design is clear and has been printed onto the paper perfectly, no bits missing at all. With every order you also get a free gel pen and a luxury tag to pop on your present. Perfect. I must say that the gift tag itself was a navy in colour and printed on really thick card, it was fantastic quality. It's small touches like personalised wrapping paper that mean so much more and if you decide to create your own with Pretty Gifted, I am sure that it will be greatly received. *DISCLAIMER* Mimi Rose and Me is a personal blog written and edited by myself only, unless otherwise note my reviews are completely based on my own opinion of the product reviewed. These products were supplied to me as a gift to review from Pretty Gifted. 11 comments on "Pretty Gifted Personalised Wrapping Paper"
Personalised wrapping is such a great idea! such a neat little idea! and is it really only that long left? better get my bottom in gear! This is the cutest idea ever! Wish I knew about this earlier.. I’m nearly finished wrapping! This is such a cute personal idea! I’ve heard about this company a couple of times this Christmas! Personalised paper must really becoming a hit! This is such a genius idea! I’ll have to try it out next year!